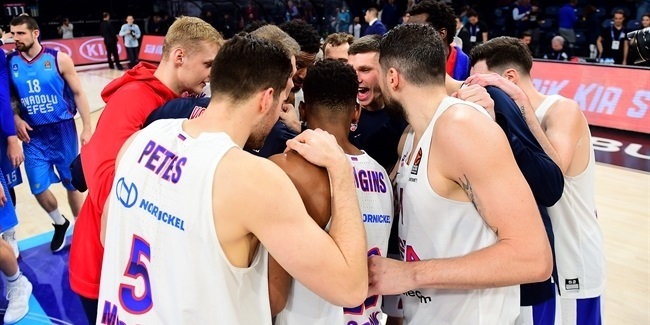 The amazing defensive work of Kyle Hines does not go unnoticed by the head coaches of the Turkish Airlines EuroLeague, who have voted the CSKA Moscow center as the Best Defender Trophy winner for the second time in three years. CSKA is famous for its historically prolific offense, but it all starts with defense for the Russian powerhouse – and Hines is definitely the team's defensive anchor. CSKA allowed an average of 93.7 points per 100 possessions with Hines on the floor, while scoring 119.5 in that span for a remarkable difference of 25.8 points. One reason that CSKA performed better when he was on the floor is that the men who matched up against Hines suffered; in the 26 games that he started, opposing starting centers averaged just 6.4 points. Hines also leads all qualified centers in steals this season with a career-high 1.1 per game. Hines was a dominant force on defense and managed to climb to fourth place on the all-time blocked shots list with 180 rejections. His great energy, commitment, determination and attitude are among the many reasons that the coaches voted him to be 2017-18 Turkish Airlines EuroLeague Best Defender. 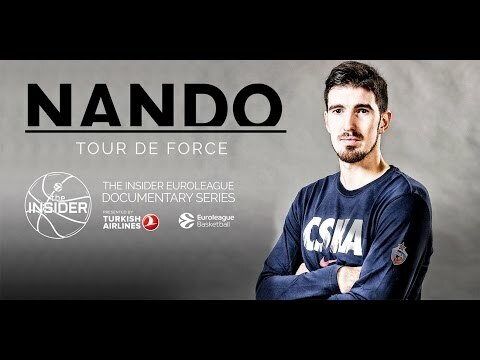 The Best Defender Trophy is one of several awards to honor the best players in the Turkish Airlines EuroLeague. The first of this season's honorees was announced Monday when Alexey Shved of Khimki Moscow was confirmed as the winner of this season's Alphonso Ford Top Scorer Trophy. On Tuesday, Luka Doncic of Real Madrid won his second consecutive EuroLeague Rising Star Trophy. The All-EuroLeague teams will be announced in the coming days. The EuroLeague MVP award will be named at the 2018 Turkish Airlines EuroLeague Final Four in Belgrade. The Alexander Gomelskiy Coach of the Year Trophy and the Gianluigi Porelli EuroLeague Executive of the Year are post-season awards. 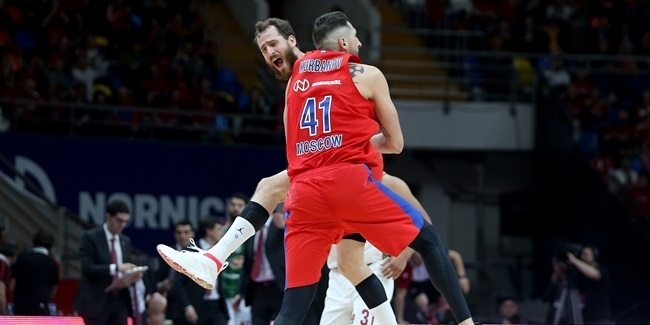 Following Hines in the voting by EuroLeague head coaches were Nick Calathes of Panathinaikos Superfoods Athens, Branko Lazic of Crvena Zvezda mts Belgrade and Edy Tavares of Real Madrid, in that order. 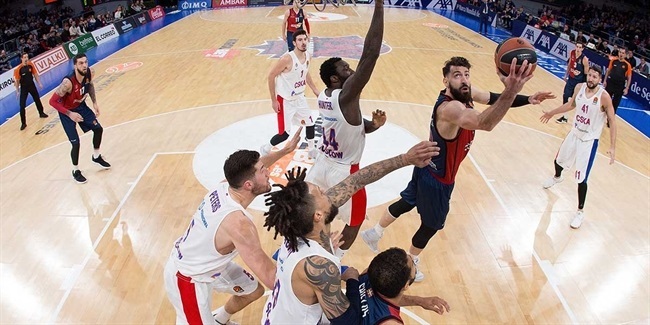 An undersized center at 1.98 meters, Hines provided physicality and toughness for CSKA in helping his team force a EuroLeague-high 476 turnovers – or 14.0 per game. Those takeaways allowed CSKA to run its trademark transition offense and find open shots everywhere. Part of CSKA's excellent shooting selection (55.8% 2FG, 41.7% 3FG) started with good defense leading to turnovers and easy shots. His importance can be seen from the five games that Hines did not play this season – against Valencia Basket in Round 22 and the entire playoff series against Khimki Moscow Region. Without Hines, CSKA allowed 89.8 points in five games while its opponents made 56.9% of their two-point shots and 41.2% from beyond the arc. With Hines, CSKA allowed 78.8 points in 29 games and opponents shot on 51.3% inside the arc and 36.9% from downtown. Hines started his professional career with Italian side Veroli Basket and made his EuroLeague debut with Brose Bamberg in the 2010-11 season. He went on to help Olympiacos Piraeus win consecutive EuroLeague titles in 2012 and 2013. Hines has been with CSKA since the start of the 2013-14 season and won his third EuroLeague crown with the Russian powerhouse in 2016. This will be his seventh consecutive Final Four. If he wins again, Hines would become just the 15th player in the 60-year history of Europe's top competition to be crowned a continental champion four times. Hines is the third player to win the Best Defender Trophy multiple times. He joins six-time winner Dimitris Diamantidis of Panathinaikos (2005, 2006, 2007, 2008, 2009, 2011) and Bryant Dunston (2014 and 2015), who won the award in consecutive seasons while playing for Olympiacos. This marks the fourth time that a CSKA player will bring the Best Defender Trophy home. In addition to Hines in 2016 and this year, his teammate Victor Khryapa was the 2010 EuroLeague Best Defender and former teammate Andrei Kirilenko won in 2012. In addition to those mentioned above, Stephane Lasme was the 2013 EuroLeague Best Defender with Panathinaikos and Adam Hanga took the trophy last season with Baskonia Vitoria Gasteiz.